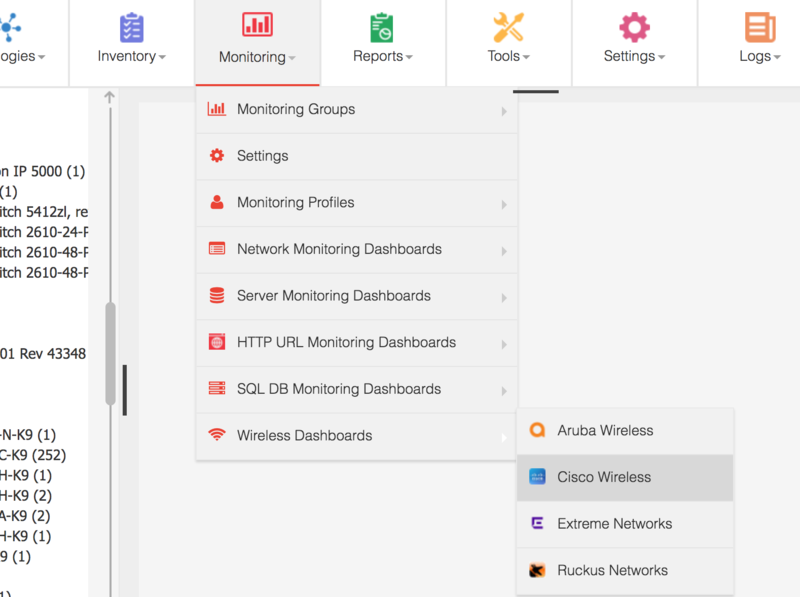 After support for wireless devices was added in Nectus, specific monitoring dashboards were created to track any change that can affect the wireless users, controllers or access points. 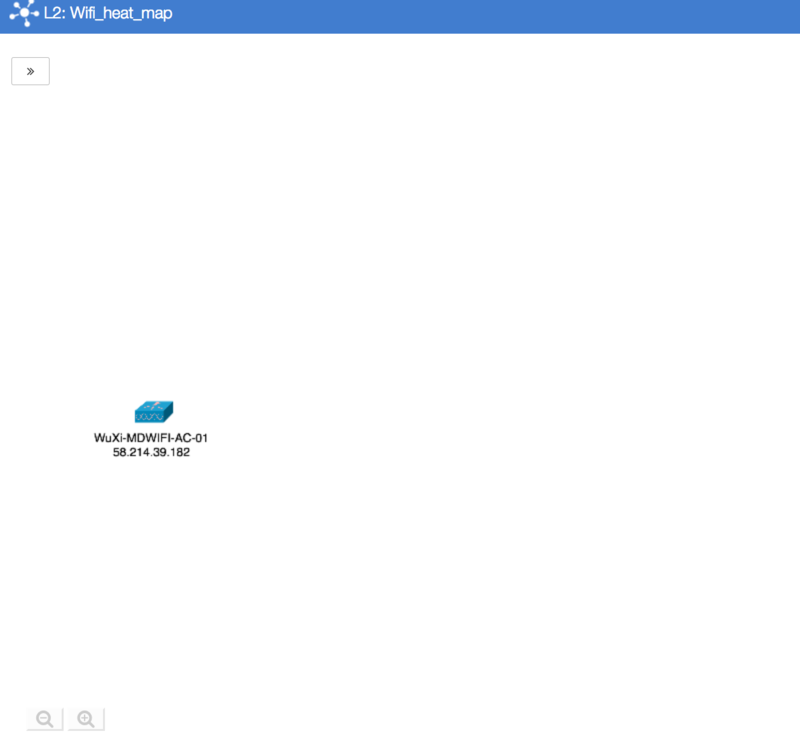 Wireless dashboard has multiple sections. 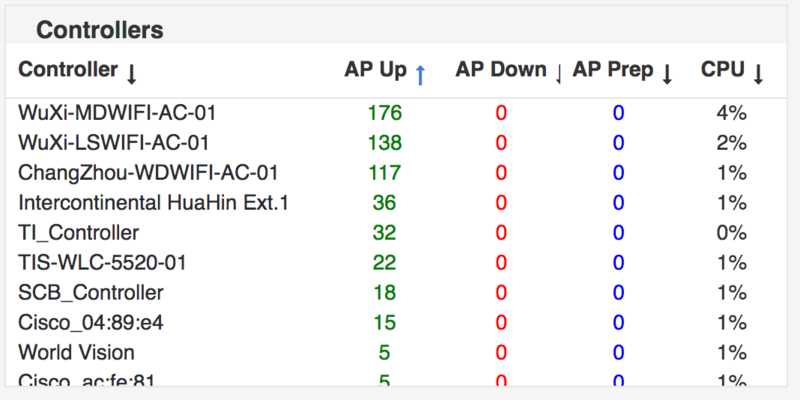 The interesting things starts when you select the counters related to the number of APs that are up, down or in process of being associated with the controller. To get details about an AP, it is enough to select one of the APs and a window with multiple tabs will provide various information that can help the operator to understand how that specific AP operates. 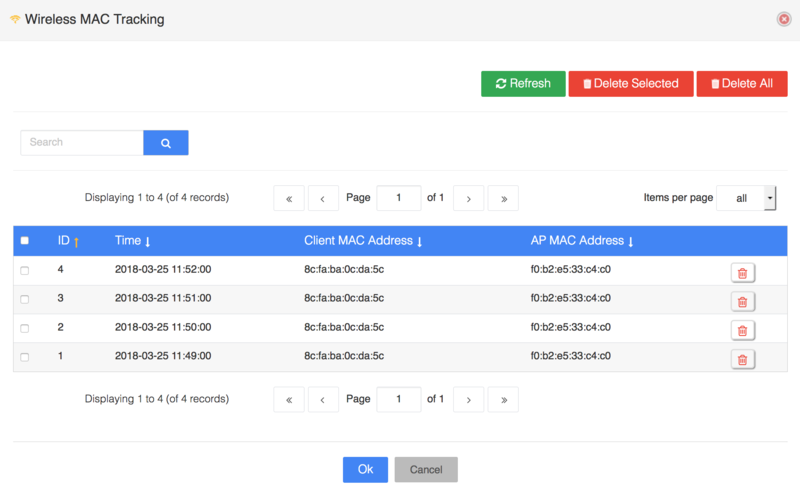 The first tab provides the name of AP assigned by the operator, the model of AP, the operating system, the IP address and some other useful information about the AP. 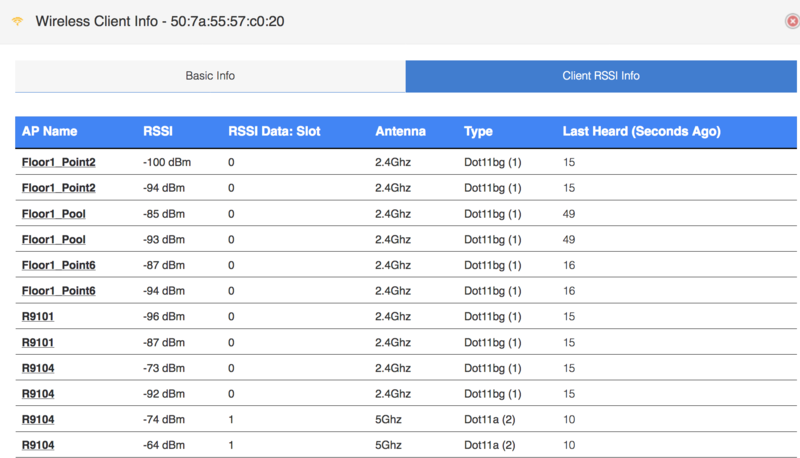 And the last section of the wireless dashboard is the one showing how many clients are on the two frequencies, 2.4Ghz and 5Ghz, in total and you can see some history of how many clients were at some point in time. 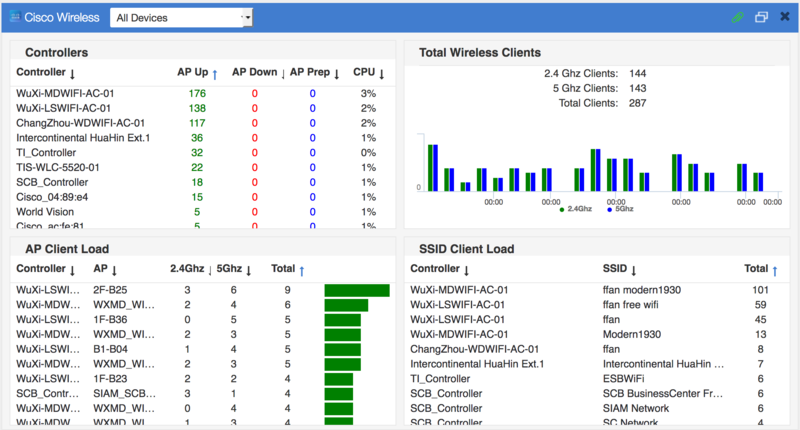 Nectus Cisco Wireless dashboard can provide useful information about the wireless devices, controllers and access points. 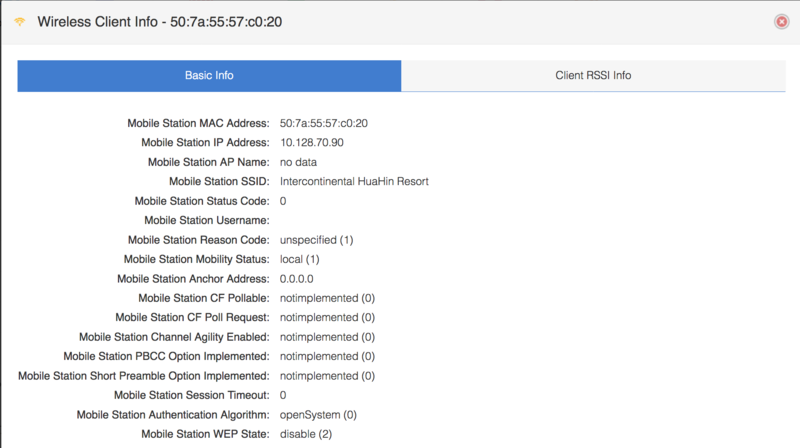 In this post we will cover some new functionality added to Nectus in latest Wireless release. 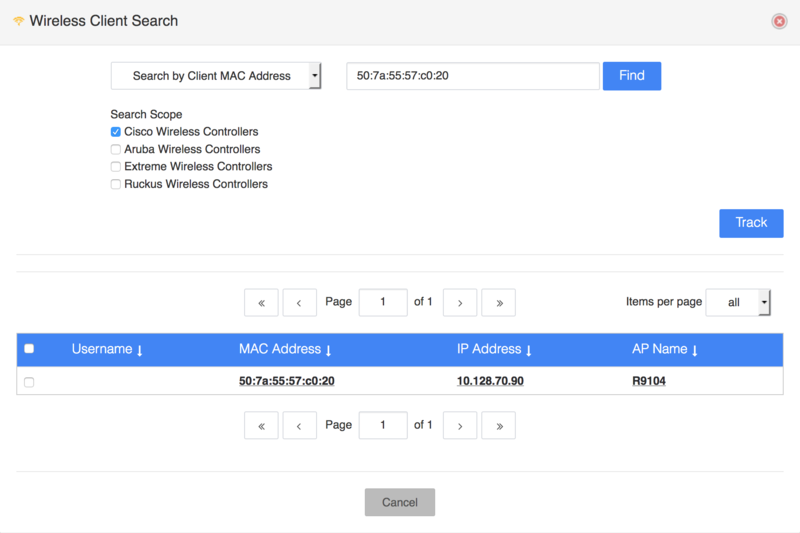 The “Wireless Client Search” allows the operator to find any wireless client by its MAC, IP address or Username. 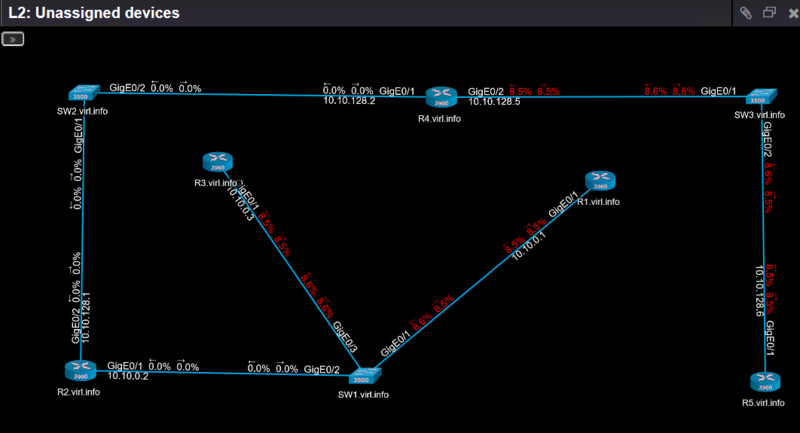 This shows that the client did not move to another AP, so there was no or little movement of the client. 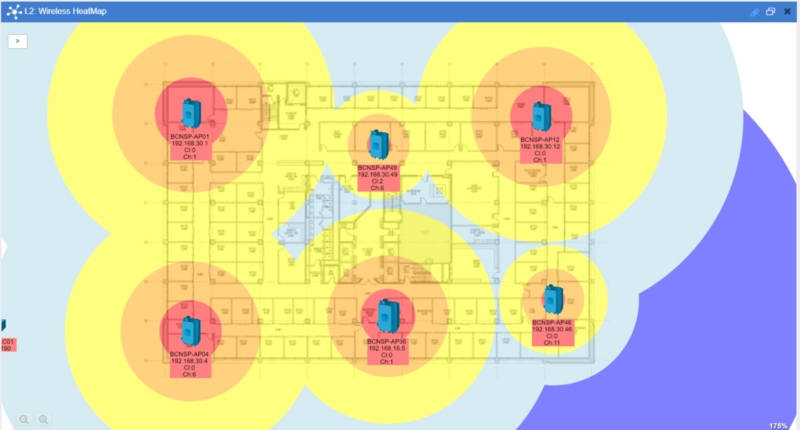 In this post, we will cover the wireless heat maps and how they are created in Nectus. 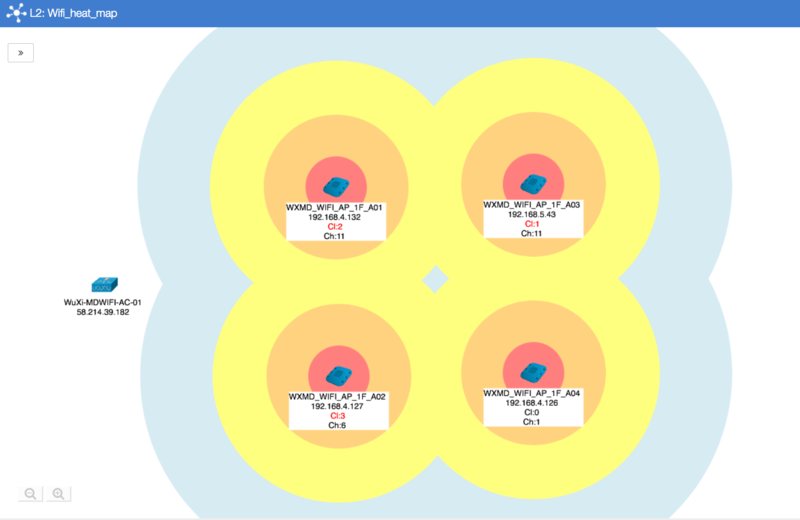 A heat map will allow to visualize the state of the wireless coverage and help to take decision in order to improve the coverage. 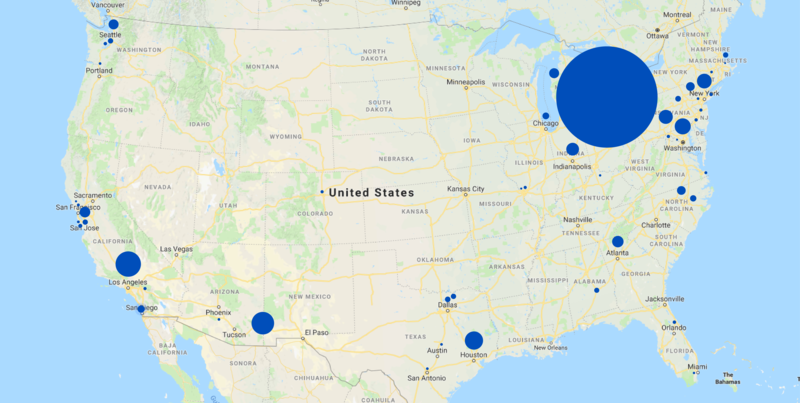 Using the information from APs along with a map of physical location, you can find out where are the hot and cold spots. A heat map is a L2 topology diagram where you can add access points and optionally the controller to which the access points are associated with. 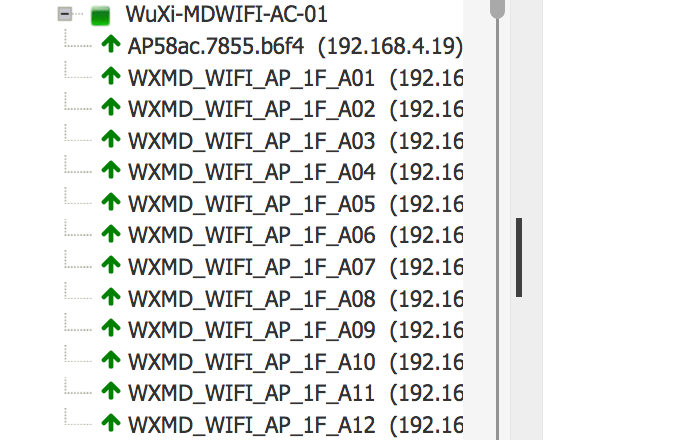 You can see which channel is used on each AP and how many clients are connected to each AP. Nectus goes wireless. Starting from version 1.2.24 we added support for Cisco Wireless. 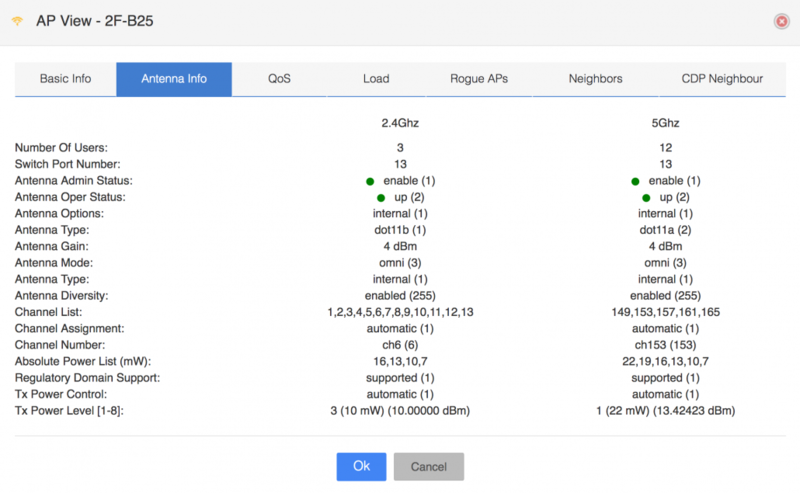 Nectus can monitor OpenFlow capable devices in the same way as the non-OpenFlow devices. 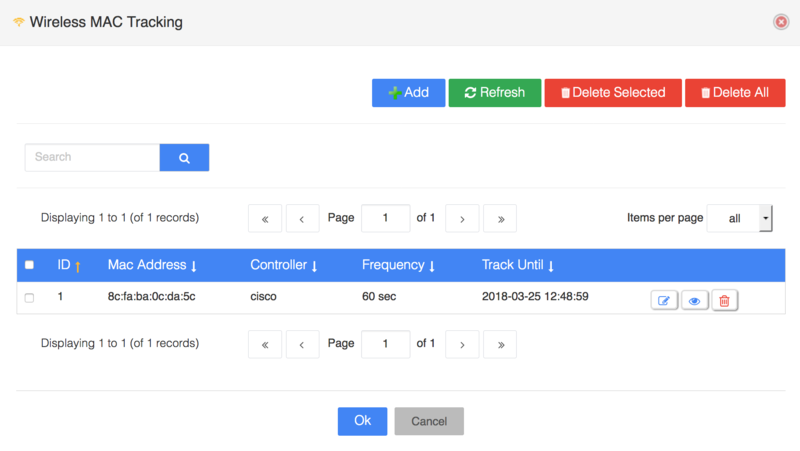 In this article we will show how Nectus can discover and monitor switches that are SDN OpenFlow ready. 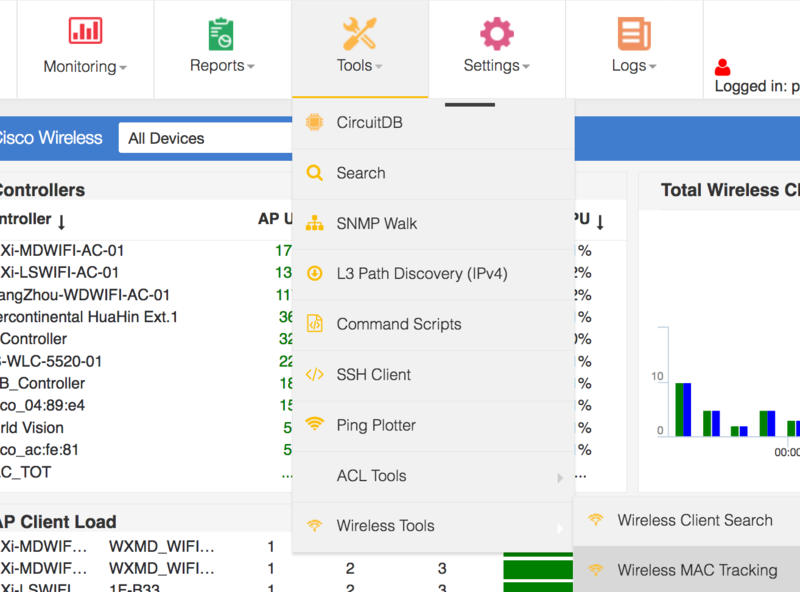 Under the Tools menu, there are quite a few tools that can help the operator to understand better the network, to perform troubleshooting and to gather information from devices. https://www.nectus5.com/wp/wp-content/uploads/2018/02/logo.png 0 0 Michael Kors https://www.nectus5.com/wp/wp-content/uploads/2018/02/logo.png Michael Kors2018-01-19 13:07:162018-10-29 18:57:10Which US city uses the most IPv4 public addresses? 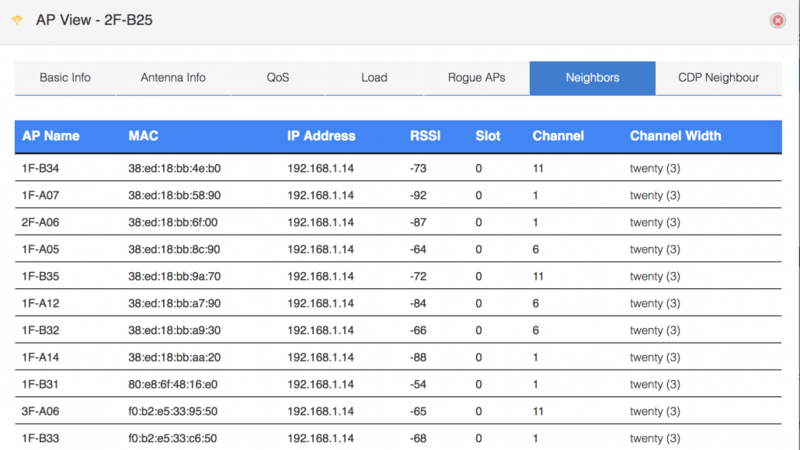 This post will cover how Nectus can dynamically build topologies and how you can check various performance statistics. 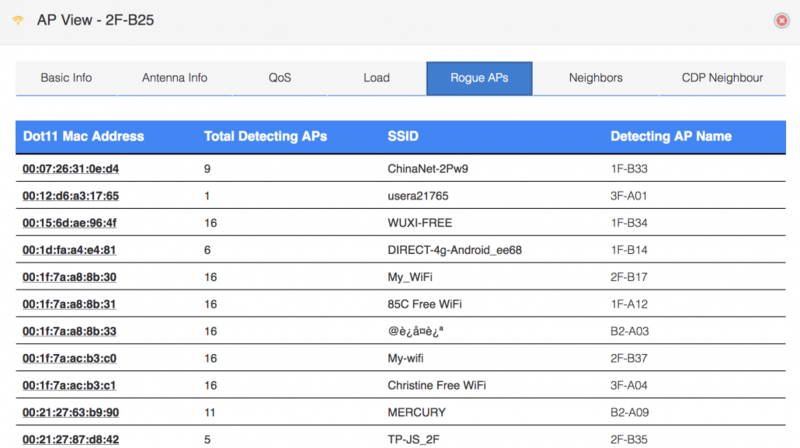 Nectus gives the possibility to build automatically L2 and L3 topologies based on the discovered devices. We offer free Nectus license to all Students of Cisco Network Academies. All Features Enabled. 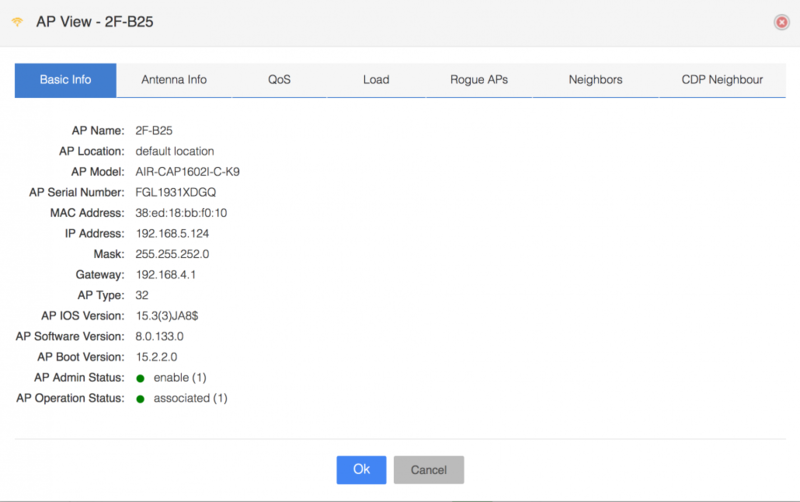 Restricted to max 20 devices. Contact us at admin@nectus5.com to get your personal licence key. 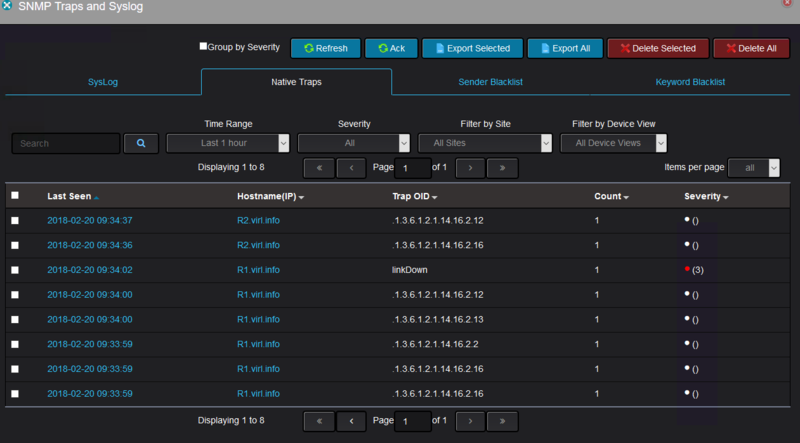 Network Visualization and Discovery tools to be used in training classes.